Universities have warned Prime Minister Malcolm Turnbull that some of our most eminent scientists, such as Fiona Wood, Ian Frazer and Brian Schmidt, could have been shut out of the country by the controversial abolition of 457 visas announced on Tuesday. In a letter to Mr Turnbull the Group of Eight chairman, University of Queensland vice-chancellor Peter Høj, warns of “potential unintended consequences”, which could restrict hiring of research talent overseas and hamstring their ability to compete with the best international universities. In the changes, the government has put the category of university lecturer into the short-term, two-year visa stream that has no path to permanent residency. According to the latest figures nearly 2000 457 visas (2.1 per cent of the total) were issued in the university lecturer category. It also will require applicants to the temporary skills shortage visas (which will replace 457 visas) to have two years’ work experience. This means Australian universities will not be able to hunt for research talent among newly graduated PhD students from overseas universities who don’t yet have work experience. In his letter, Professor Høj pointed out that Professor Wood, Professor Frazer and Professor Schmidt “came to Australia as foreign researchers, were educated overseas at no cost to Australian taxpayers and have become great contributors to Australia and great Australians”. Professor Wood and Professor Frazer came from Britain and have both been named Australians of the Year for, respectively, their work in burns treatment and the vaccine to prevent cervical cancer. Professor Schmidt, a US astrophysicist trained at Harvard who is now the vice-chancellor of the Australian National University, won the Nobel Prize for discovering the expansion of the universe was accelerating. Professor Høj, who is from Denmark, said the government needed to clear up the uncertainty in the new rules. “What is the intention of the government in respect of such super talent who have the desire to come to Australia with such qualifications?” he said. 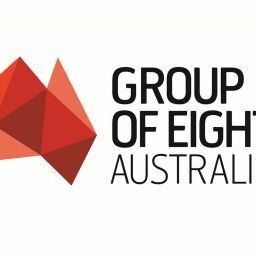 The Group of Eight says that the success of Australian universities in international rankings – six are in the top 100 of the prestigious Shanghai Jiao Tong research-based ranking – is critical to being able to attract international students. “To do this requires international mobility of academic talent that allows the best minds from around the globe to come to Australia to conduct research and also foster Australian talent,” Professor Høj said in his letter to Mr Turnbull. 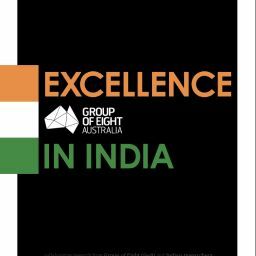 The fast-growing $21 billion education export industry is Australia’s third biggest export. Professor Høj said that restricting the ability of universities to hire internationally would put this industry, and its 130,000 Australian jobs, at risk. Universities Australia, the body that represents all major Australian universities, is also seeking “urgent clarification” from the government on the 457 visa changes “to avoid unintended consequences on university recruitment of world-leading global researchers and academics”. “As a modest-sized nation with a strong research record, it is especially important that we have the best access to the best talent. We must not squander our competitive advantage,” Universities Australia deputy chief executive Catriona Jackson said.